When a Samaritan woman came to draw water, Jesus said to her, "Will you give me a drink?" And if you give even a cup of water to one of the least of my followers, you will surely be rewarded. 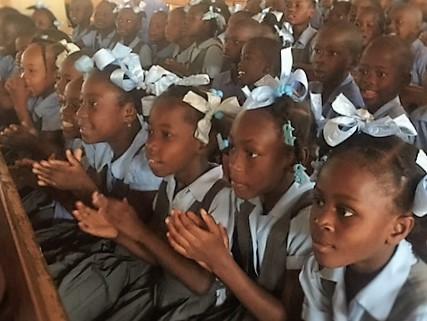 While we celebrate the near completion of the Fond Rouge church in the South, our friends from Alabama are in the North evangelizing Haitian schools! 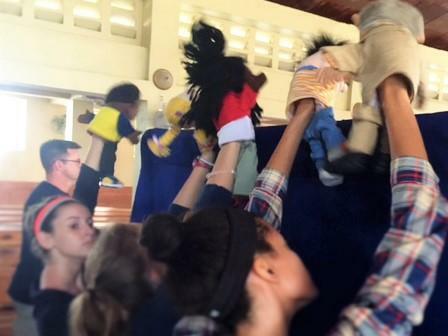 Yvonne and I are in the Northern city of Cap Haitian this week to receive an evangelistic team from Alabama; this group of 19 will visit two churches on Sunday and two schools everyday of the week they are here with a gospel presentation utilizing skits and puppets. Please remember us and them in prayer as we travel to remote villages and throughout the city of Cap. 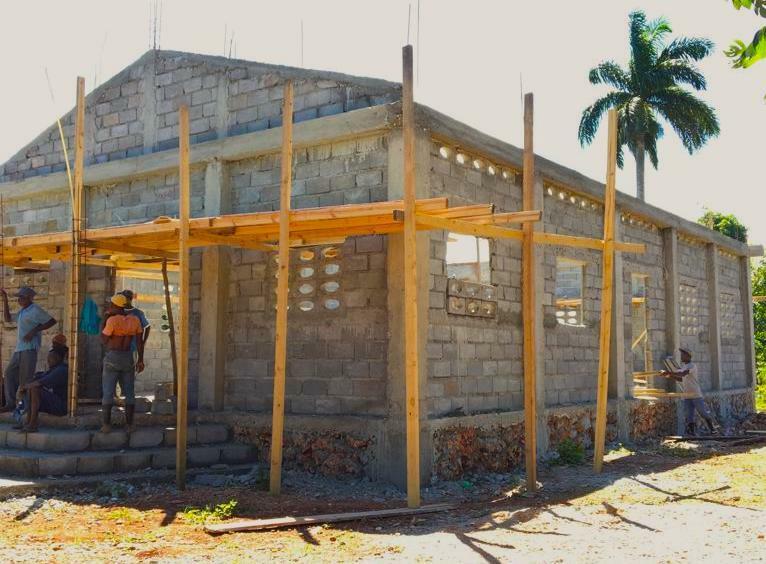 Truly God’s miracle provision has placed every one of these survivors in a new dry home, with new furnishings; now their gardens are producing; their children are going to school; it is time for them to gather together in a well-built place of worship and thank God for the great deliverance He has shown them. Thank you for your prayers, encouraging words and your regular sacrificial gifts to help us be the answer to 183 survivors cries to God. When we recount what God has done thus far, we cannot doubt He will do even more; and in the words of our dear friend and colleague Bobby Burnette, The best is yet to come!